Oral surgery is sometimes necessary to correct impacted teeth, place dental implants, or lift your sinuses. At PDADental in the Financial District, Lower Manhattan, men and women in New York can take advantage of a variety of oral surgery services. If you need a skilled, qualified oral surgeon, call the office or schedule an appointment online today. Who is Qualified to Perform Oral Surgery? Once a dentist has attended the four years of dental school, those intending to become oral surgeons go on to train alongside medical residents in skills including emergency medicine, general surgery, and anesthesiology. The team at PDADental has the knowledge and expertise to diagnose functional problems with the teeth, sinuses, and jaw and perform surgery to improve them. What Procedures Can Oral Surgeons Perform? The team also offers solutions for diseases of the mouth and jaw, or oral pathology. What surgery you might need to address these depends on your diagnosis. Who Should Visit an Oral Surgeon? You could be diagnosed with a condition of the soft tissue, have impacted wisdom teeth, or suffer from sleep apnea. All of these conditions warrant a trip to an oral surgeon. 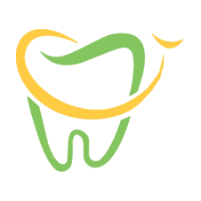 If you require a complex procedure that requires removing multiple teeth, advanced sedation, or bone surgery, you would also be referred to an oral surgeon on the PDADental staff. If a suspicious area in your mouth, neck, face, or jaw is discovered that suggests a possible problem, you can visit an oral surgeon for a biopsy. The dentists at PDADental can suggest a sinus lift to add bone to your upper jaw. The procedure is performed when you don’t have enough bone in the upper jaw or the sinuses are too close to the jaw. You can also receive a sinus lift to provide room and support for dental implants. During the sinus lift, the oral surgeon makes an incision where the premolar and molar teeth once were. When the bone is visible, the doctor accesses your sinus through the bone and gently pushes it up and away from the upper jaw. Bone graft material is put into the space where the sinus was previously, the wound closed, and healing begins. If you’re in need of an oral surgeon, get the best available by consulting PDADental. Call or book online today.